Agra, in northern India, was once the capital of the Mughal Empire. 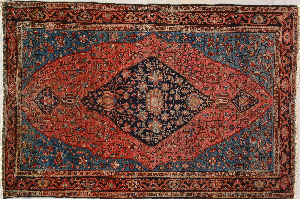 Historical records indicate that carpet weaving on a significant scale began in the late 16th century, but it is a matter of open debate if the carpets popularity called “Esfahan” were woven in Agra or in the eponymous Persian capital. 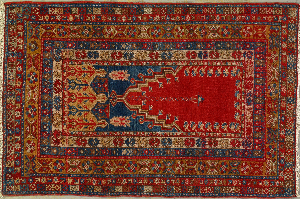 These carpets have red (lac) fields, with allover in-and-out palette and arabesque patterns, and blue or dark green ensuite borders. 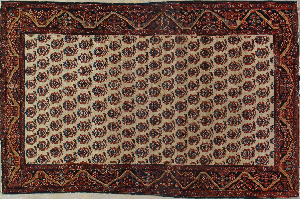 These pieces were woven throughout the 17th century in sizes ranging from 3’ x 5’ to 15’ x 40’. 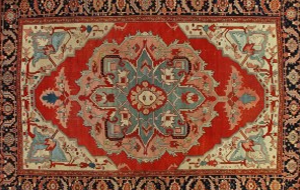 They have always been the most popular of Persianate antique carpets. 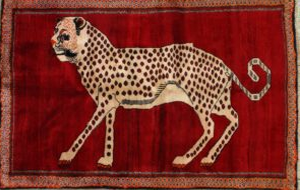 In the 19th century carpets from Agra continued the colors and patterns of the classic period, but the formats became more square to suit western tastes and the weaves gradually grew thicker and heavier. Sizes range from 10’x12’ to 22’x30’. The designs do not get larger, but the elements grow in number. 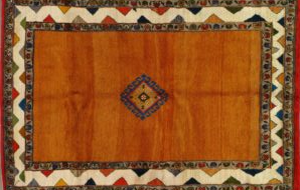 Other Agra carpets copy classical Persian or Indian designs available from illustrations in carpet books, beginning in 1892. Some of these pieces are very fine with excellent wool and precise execution. Amritsar, also in Northern India, wove carpets slightly lower in quality than Agra and specialized in medallion patterns, often on open fields. Square formats are common and unusual field colors often appear: black, mustard, gold, etc. Amritsar carpets are medium fine in weave. 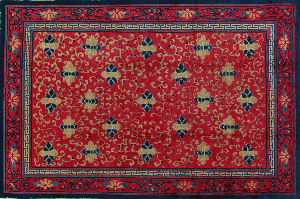 Both Agra and Amritsar carpets are exclusively Persian knotted. 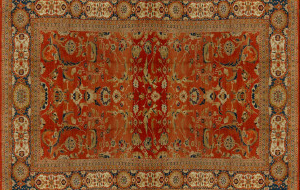 Copyright © 2013 First Rugs | Rugs | Antique rugs. All Rights Reserved.